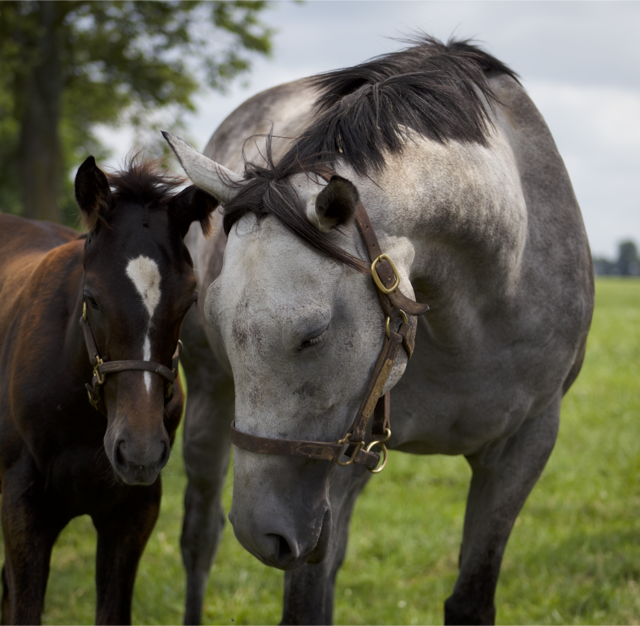 Sun Valley Farm is one of the most picturesque thoroughbred breeding farms in Woodford County, Kentucky. Located less than one minute from world famous Woodford Reserve Distillery, the Sun Valley tour is a unique blend of the rich histories of bourbon and thoroughbred racing. Your tour will take you through our beautiful Kentucky landscape of endless fields of green, spring-fed limestone streams, and fences as far as the eye can see. Prepare to discover "up close" the majesty of the Thoroughbred, and the dedication and attention to detail involved in their development from day one. Family owned and operated for more than 20 years, Sun Valley Farm is a true passion for the Butzer family, and is home to Thoroughbred broodmares responsible for producing more than 200 stakes horses worldwide. Explore the history of the land, the 1800's bourbon connection, and the inner-workings of day to day life on Sun Valley Farm. We thank you for considering Sun Valley Farm in your tour's itinerary, and welcome you to the horse and bourbon capital of the world. It will be a pleasure for our family to welcome your family to Sun Valley Farm. Closed Toe Shoes are Strongly Encouraged!